In the not too distant past, polished concrete would have been unthinkable in a home or garage. Homes were meant to have carpet, wood, or tile flooring and garages were supposed to have cracked, dusty, and stained concrete floors. Thanks to improved technology and greater awareness among homeowners, polished concrete floors are quickly catching on in Houston, TX. Our polished concrete contractors can transform your home, garage, or business with beautiful stained polished concrete floors with nearly limitless options. Want to Update Your Concrete Floors? Polished concrete can completely transform the look of any home or business with a long-lasting, durable, and beautiful floor system. As one of the leading concrete floor companies in Houston, Texas, we serve homeowners and business owners alike. Polished concrete in Houston, TX isn’t just for commercial properties like hotels and restaurants. While polished concrete offers clear advantages for commercial properties like stain and damage resistance, a low lifecycle cost, and an attractive appearance, many of these benefits also apply to interior floors in homes. One of the most popular uses for concrete resurfacing is transforming an ugly and stained garage floor. 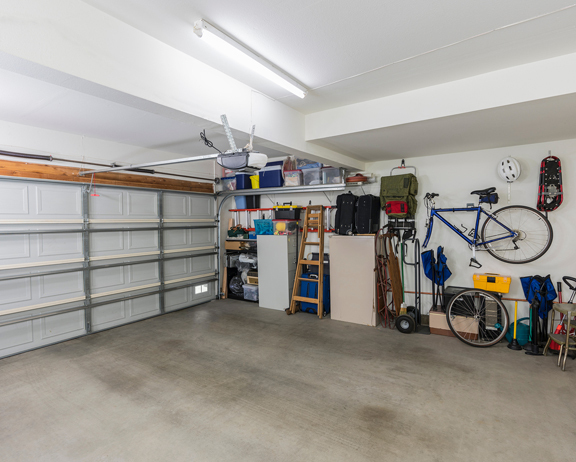 Our polished concrete contractors can deliver a beautiful polished concrete garage floor that gives your garage a much-needed update while stopping concrete dusting, increasing brightness, and helping your garage floor resist damage. 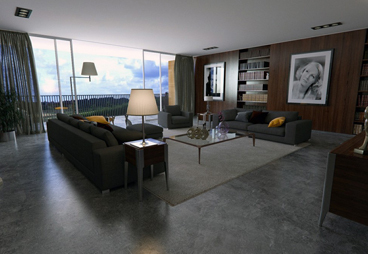 Homeowners also appreciate polished concrete interior floors. Your home may already have concrete floors on the main floor that are hidden under traditional floor coverings. 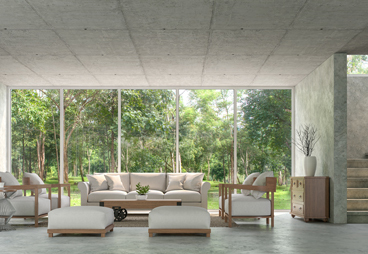 Polishing concrete makes a space feel brighter, cleaner, and more open — perfect for complementing an open floor plan. Concrete grinding and polishing is a multi-step process that transforms regular concrete into a highly reflective and smooth surface. We use specialized grinding equipment and densifying chemicals to transform your concrete. Before we even get started, our Houston concrete floor polishing contractors will take the time to repair damage to your concrete like oil stains, cracks, and spalling that can prevent flawless results. 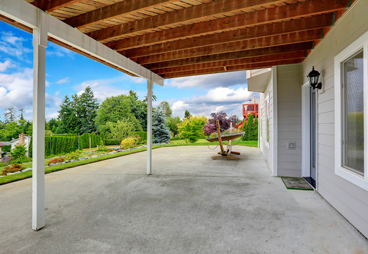 Once your concrete is in good condition, we start by applying a densifier that increases surface density and seals the pores of the concrete. This chemical penetrates deeply into the concrete and causes a chemical reaction with a byproduct to fill the pores and create a harder surface while reducing pitting. We will then do a rough grind of the concrete with a 20-grit disc then use progressively finer products to achieve the finish you want. We can achieve any sheen level you want ranging from flat to highly reflective 3,000 grit. If you are pouring new concrete floors, we can incorporate decorative aggregate that’s revealed during the grinding. Another option is adding decorative elements like saw cutting and concrete stains for a beautiful floor that looks like natural stone, still water, tanned leather, and more. Concrete polishing in Houston, Texas is an affordable, effective, and fun way to transform boring and ugly concrete floors into something dramatic, brilliant, and beautiful. 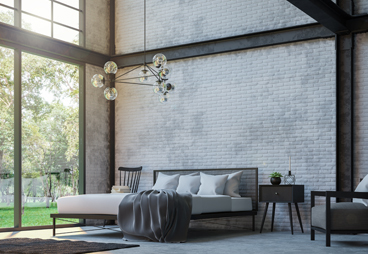 Polished concrete floors are growing in popularity in residential settings thanks to improved technology and awareness among consumers. We install polished concrete interior floors as well as polished concrete garages and basement floors to give your home a sophisticated and eye-catching upgrade. Here’s why polished concrete is the latest craze in Houston. Few flooring options are as affordable as polished concrete. Concrete polishing in Houston, Texas has a low installation cost plus a low lifecycle cost. Polishing concrete is more affordable than hardwood, tile, and other flooring because it transforms your existing slab on grade into finished flooring. It can also last decades with ease, outlasting other types of flooring like carpet and laminate. Don’t waste money on flooring that will wear out within a decade; polished concrete can last the rest of your life. It’s hard to damage polished concrete. 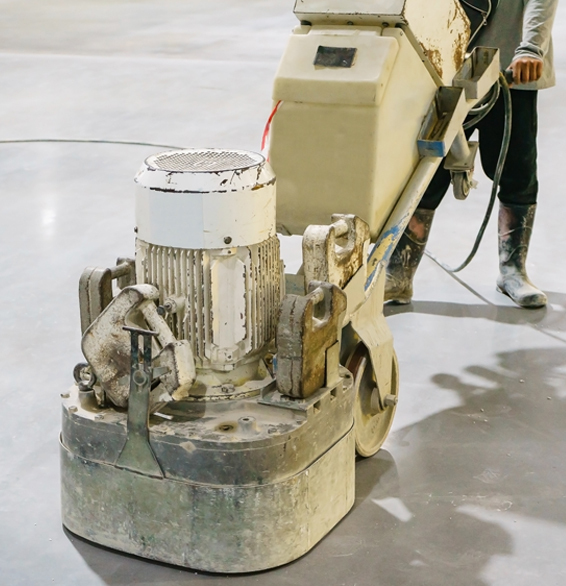 Concrete grinding and polishing actually densifies and seals the surface of the concrete floor. This creates a finished floor that’s far less porous than regular concrete but also stronger. Polished concrete floors can even withstand chemical spills and repel water to make it easy to clean up spills. 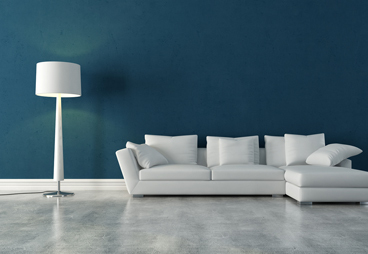 Normal wear and tear such as foot traffic, sliding heavy furniture, and pets won’t damage polished concrete basement floors and interior floors. Concrete polishing in Houston, TX creates a finished floor system that can last a lifetime. 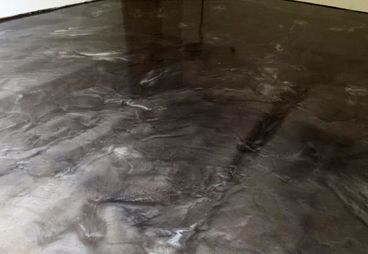 Residential polished concrete almost never needs to be repolished, although this may be necessary in demanding commercial or industrial applications at some point. It won’t chip, dent, or scratch. While all concrete cracks, this can add to the charm of polished concrete. Polished concrete in Houston, Texas is the ultimate low-care floor system. You don’t need to worry about scrubbing grout in a tile floor, removing stains and scuffs from laminate and vinyl flooring, or panic about water damage. Polished concrete is very stain-resistant and won’t be hurt by moisture or abrasion. It takes almost no work to keep polished concrete floors looking their best. Radiant floor heating is a luxurious feature that keeps your feet toasty while warming your home. It’s also very energy efficient. Not all types of flooring can work well with radiant heating but concrete is the perfect solution. Polished concrete interior floors offer great thermal conduction. Radiant floor heating means toasty warm concrete floors, a quiet heating system, and lower heating costs. Polished concrete floors in Austin, Texas don’t need to be gray or even high-gloss. We can polish your floors to your preferred finish level ranging from matte to high-gloss. Stained polished concrete is also an option to add beautiful permanent color to your floor. A stained polished concrete floor can have a very vibrant and rich color or mottled, earth-toned, and variegated hues to match your style. Call Now! 713-766-0674 or fill out the form below and someone from our team will be in touch with you shortly.